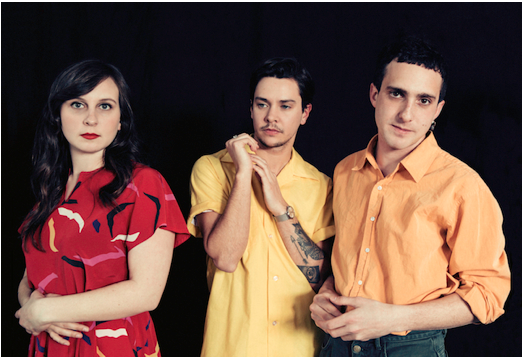 Today, Washington, DC trio Flasher announce their debut album, Constant Image, which will be released June 8th via Domino. They’ve also shared a new single and video, ‘Pressure’. Recorded in 2017 at Rare Book Room in Brooklyn, NY, Constant Image was produced by Nicolas Vernhes (Animal Collective, Deerhunter, War On Drugs) and crackles with invention. This isn’t the sound of a band finding their feet, it’s the rare sound of three people – Taylor Mulitz on guitar, bassist Daniel Saperstein and drummer Emma Baker – who know exactly what they want to achieve from the start. COURTNEY BARNETT shares new single ‘City Looks Pretty’ + announces Aus/NZ album tour!